“I know the name of every person represented by a white cross along the highway,” Tim Roberts told Linda and me last week. 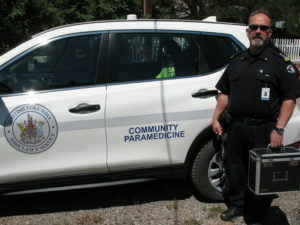 As a paramedic, he has been called to the scene of numerous tragic accidents in the Similkameen Valley. 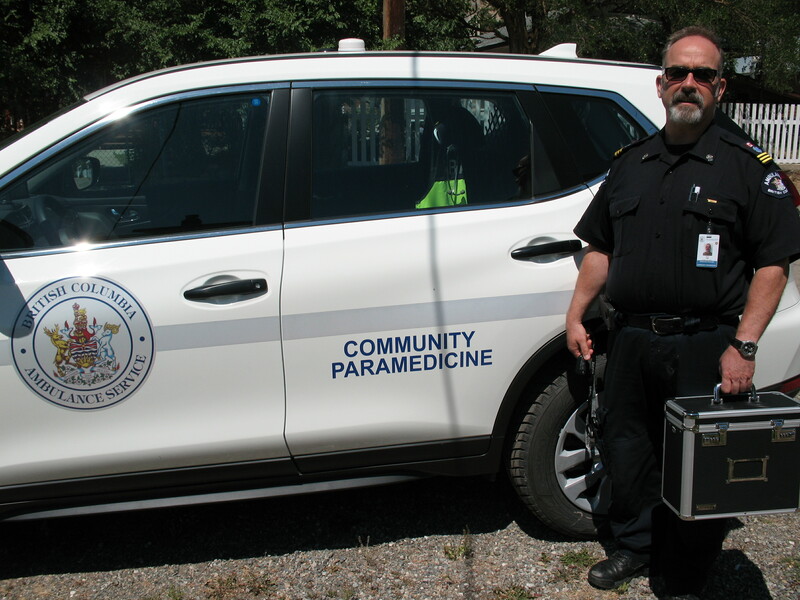 When he arrived at our home, he was wearing a uniform representing Community Paramedicine, a new service being offered to local citizens. Tim and I came to know each other when we worked together in a program for emotionally disturbed youths at the One Way Adventure Foundation in Hedley. After that our paths intersected only occasionally. I was interested in hearing how life circumstances had prepared him for his current challenging role. 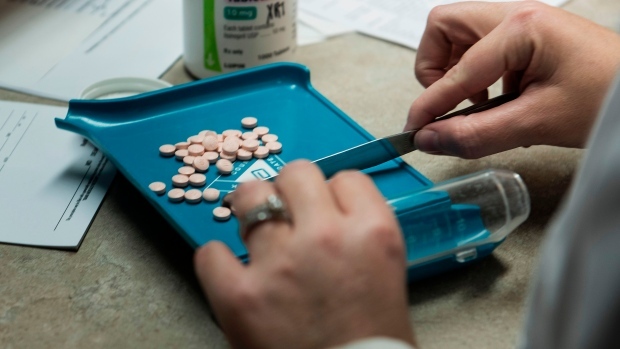 A group of Canadian healthcare leaders wants pharmaceutical companies to have to disclose how and why they pay people who prescribe their drugs, saying it would show potential bias and help build trust. Seventeen people signed an open letter sent to Health Minister Jane Philpott this week, saying Canada should follow the lead of countries such as France, Denmark and the United States, which require pharmaceutical companies tell the government about payments to prescribers as small as $10 US. Dr. Chris Simpson, vice-dean of the Queen’s University medical school in Kingston, Ont., and signee of the letter, said these companies can pitch their products to doctors by hosting them for a lunch and giving a talk about a drug or giving them free samples for patients who couldn’t otherwise afford them. “I think it’s important to point out these payments aren’t nefarious or bad, it’s just that when payments are made from a drug company to a prescriber who may be prescribing drugs made by that company, that there may be biases introduced,” he said. A tweet by Jane Philpott: We will protect public healthcare so people get the care they need based on how sick they are; not how rich they are. British Columbia has put three private health clinics under audit amid long-standing concerns about the practice of double-dipping, looking at doctors who work in the public system and who also charge some patients extra fees for quicker access to medical care. 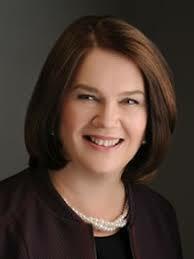 Federal Health Minister Jane Philpott and her newly appointed B.C. counterpart, Adrian Dix, say three of the province’s several dozen clinics are being examined for billing patients extra for medically necessary care, a violation of the Canada Health Act. Fulfilling a campaign promise for both the New Democratic and Green parties, Premier John Horgan has announced the restoration of funding for adult basic education and English Language Learning programs in BC. 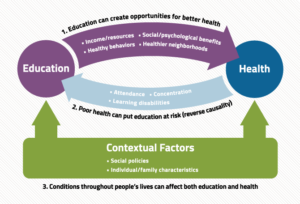 This is welcome news for organizations like the BC Health Coalition (http://www.bchealthcoalition.ca) and the BC Poverty Reduction Coalition (http://bcpovertyreduction.ca/learn-more/plan-for-bc/#education), who understand that the social determinants of health are strongly influenced by a person’s level of education. Details of this announcement will be outlined in the September budget update. Eight-year-old Ambrose Colbeck reverses roles with Dr. Travis Thompson in the exam room at the Fairview Medical Clinic where Thompson is doing part of his UBC Family Practice Residency program. The face of the kindly, old country doctor standing at your door with the well-worn leather medical bag in hand is changing. Enter the new generation, physicians like Dr. Travis Thompson, 27, and while the appearance may not be the same the dedication and commitment to be a really great small town doc is. For Thompson and others of his genre it’s not the appeal of the bright city lights, but rather a commitment to work in a wide range of medical disciplines and ultimately deliver the best care they can for their patients in a familiar setting. 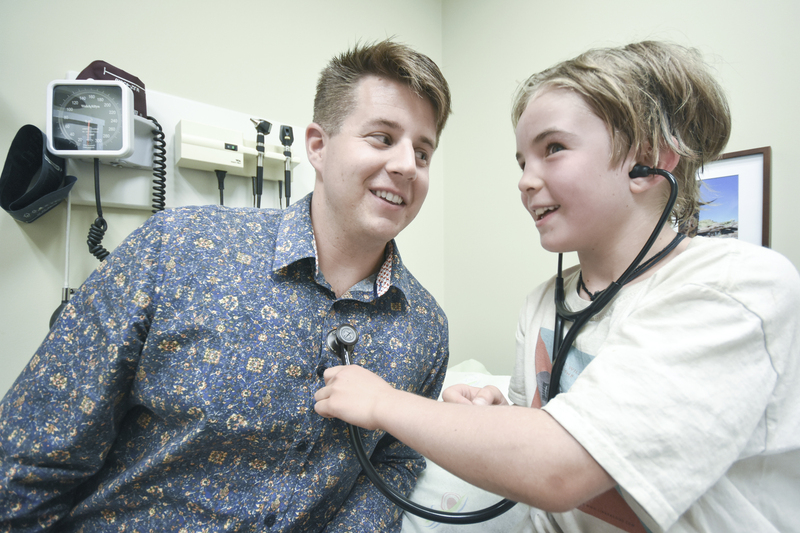 To help these young physicians along their chosen path and ultimately bolster the medical ranks of rural doctors in B.C., there is the new UBC Family Practice Residency Program in the South Okanagan. Thompson and three other doctors recently completed the inaugural 12 months of the two-year curriculum and four more new physicians were just added at the start of the second semester. This marks the first time those doctors can complete their entire residency in this region, which hopefully will lead them to put down roots.